This is a vintage Philadelphia travel poster. 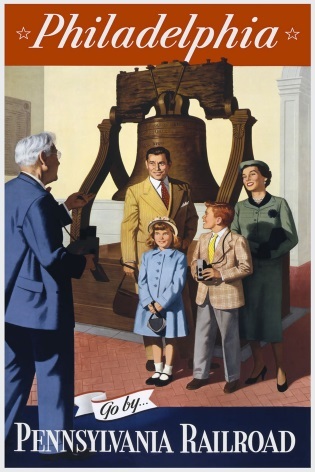 It aimed to attract people to Philadephia via the Pennsylvanian Railroad sevices. It shows a family lining up for their photograph to be taken.